WordPress has become one of the top website publishing platforms. We offer a full range of WordPress consulting services including complete website development, site speed optimization, custom theme development and website security. We consistently deliver code that is powerful, efficient and secure. We work with all aspects of WordPress development including themes, plugins, widgets, APIs and integrations, eCommerce, memberships and subscriptions. We can customize a website for your business that will not only be top of the line functional but also aesthetically laid out and user friendly. We have broad experience developing simple stores to complex eCommerce solutions. We understand the requirements for developing shopping carts, membership sites and subscription services. We can provide the commerce solution that will serve your business best and bring you the greatest results. A solid digital experience starts the split second a customer lands on a page and continues to click through the site. Efficiency and impact are always top priorities and the user interface is the window in which the world views your brand. We can design your online brand to provide the most impact. We have broad-ranging WordPress experience and can help you with issues that include information architecture, technology infrastructure, development workflow, best practices, accessibility, performance and security, and the WordPress REST API. Stuck with issues with your WordPress-powered website? Let us know. We really understand WordPress and have experience diagnosing all sorts of problems. We are here to help. We’ve seen and fixed lots of websites. Our Site Audit program will provide you with the guidance you need to really understand the performance of your WordPress website and can provide you with ways you can improve its performance. Ready to build a site on your own? 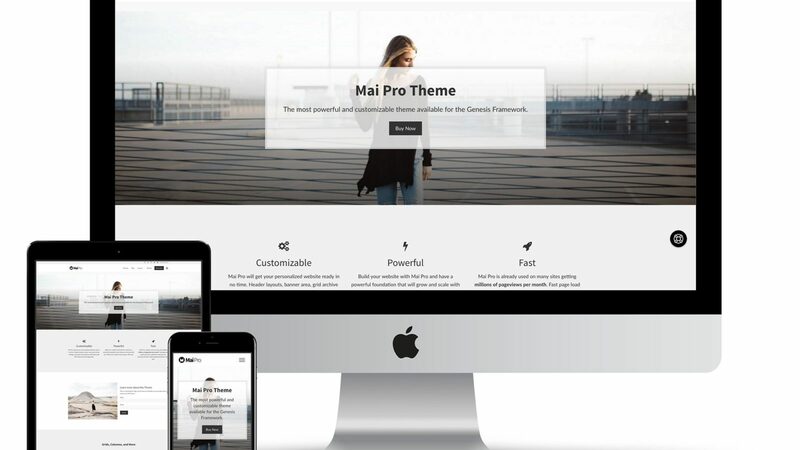 Check out our powerful Mai Theme for WordPress.